It’s that time again! The Ghost of Easter Rituals has come back to haunt us for another year. It’s time for the traditional family routine of egg decorating, treasure hunts, and the all-important Easter basket, filled with treats and delivered right to your front door by the ever-helpful and beloved Easter Bunny. But, if helping the Easter Bunny out this year has become somewhat of a challenge, then never fear! Below you will find the perfect list of gifts for the basket of the most important young man in your life. No matter his age or tastes, you’ll be sure to find a whole host of things in this list that will put a huge smile on his face. 2.0.1 What Kind of Gifts Should Go in an Easter Basket? 2.0.2 Hand-Made or Store-Bought? That is the question! A staple for any Easter basket, this bunny has an adorable plush egg fitting for the holiday. So soft and snuggly, you might have a hard time giving it away. Suitable for ages three months and up, the bunny is a great companion for your toddler or even your one-year-old. Parents and grandparents are raving about how much their kids love this bunny. He stands at almost 12 inches and is made of a very soft high-quality plush material, and he’s as cute in real life as he is in the photo so it’s hard not to snuggle him. If you’re stretched for time and you want to find something ready-made for the big day, this is the perfect go-to product. Filled with all types of activities and candy to keep your kids happy, you’ll find stickers, a notepad, games, markers, crafts, lollipops and chocolate candies of various assortments that you’re not the only one that will be busy this holiday. 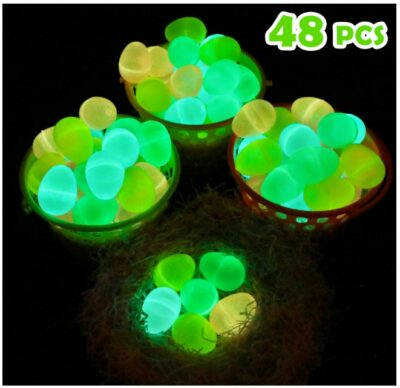 If you have a little time and want to create a surprise, there are hollow eggs that you can use to put the gifts or candies in for him to open. Due to the size of the gifts, this would be the perfect surprise for tween boys or boys of around 9 or 10 years old. As an avid fan of LEGO, this is one of two LEGO-themed gift options that hit the nail on the head of more personal ideas for Easter baskets for boys of all ages. The thing about LEGO is that it doesn’t matter if you’re 6 years old or 36, it’s a great gift that stands the test of time and can be used again and again for many years to come. The creative and universal element of LEGO means that you don’t have to follow the rules and can create whatever your imagination desires. 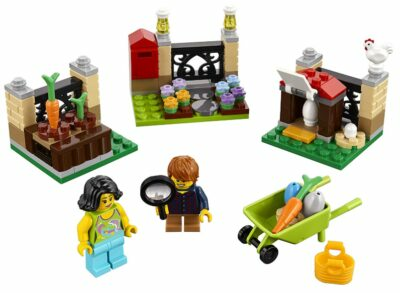 The set comes complete with two LEGO mini figures, three Egg Hunt locations, and various accessories to create as many unique fun hunts as his heart desires. Perfect gifts for baby boys don’t happen often, but this one is an egg-xcellent (sorry, I couldn’t help myself!) choice. As a well-known brand for baby’s toys, it’s impossible to not get egg-xcited (and again) about such an adorable and educational gift for babies and toddlers that are learning shapes, or honing their motor skills. 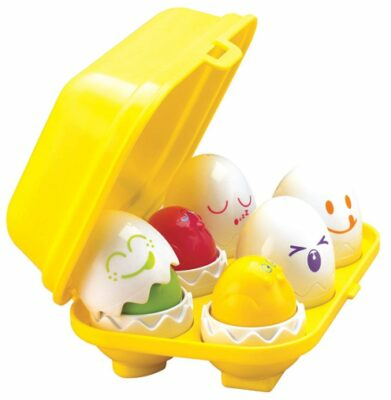 The set comes with six eggs, each featuring colorful chicks inside. The individual shapes at bottom of each egg correlate with a shape at the bottom of the egg box, so hours of discovery and fun await your little man. Want more of a challenge for an older boy? 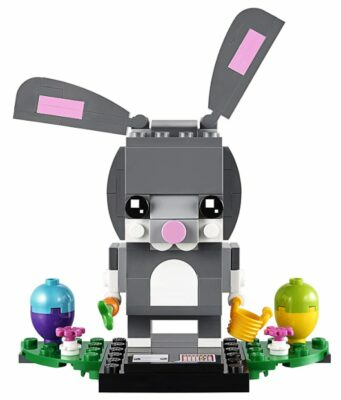 This BrickHead Bunny Building kit is the perfect toy for a tween boy’s basket. As I mentioned for item 3; because it’s LEGO the possibilities become endless and beyond the realms of your usual building. It’s up to him to think outside the box (or the basket) for how he wants to build it. Suitable for ages 10 and up, you know that he’ll be creating fun for hours. It’s important to not forget why we have Easter. Yes, the traditions of hiding eggs and eating candy are great, but there’s a reason for these things. If you want to teach your kid about the origins of the holiday, then this book is great. It’s perfect for toddlers or Preschoolers learning to read. It’s a cute book with gorgeous illustrations and a story that’s easy to follow, so whether you want to spend time reading to him, or having him read to you, this is a great way to build that memory. If your kid is a bit of a joker and loves to make people laugh, then give this book a try. The hilarious jokes are themed to the holiday and are sure to build his repertoire if he likes a good joke. I even laughed a little when I read some of them, so the quality of the book is great. It’s definitely the star gift for your little comedian. 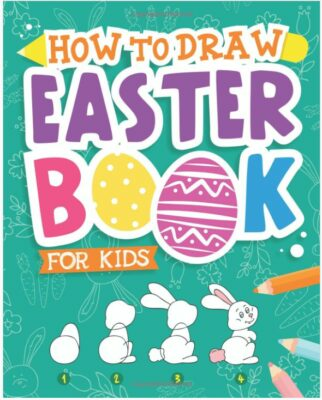 There are even extra pages at the back of the book with blank Easter eggs for coloring for themselves or to give to friends and family as Easter gifts. With a multitude of activities for kids, the Egg-treme Easter Activity book (their words, not mine!) is the perfect way to entertain boys of all ages. Recommended for ages 6 – 10 there’s plenty in here for all types of curious minds. This bumper book of activities includes mazes, word searches, join the dots among others. They can even be colored in when they are finished so it’s enough to keep him occupied for hours. This amazing book is a great gift for boys learning to read. Whether they’re in Preschool or the Third Grade, this story is enough to keep them focused to learn how to read. With cute pictures and an adorable story, he will be engrossed in the adventures of Pete the Cat. It even includes a poster, punch-out cards, and stickers so he can continue the story using his imagination. This word search book is great for boys that love to learn. With easy to follow instructions, he’ll be ready to start searching for words within themed games on every page of this brilliant book. 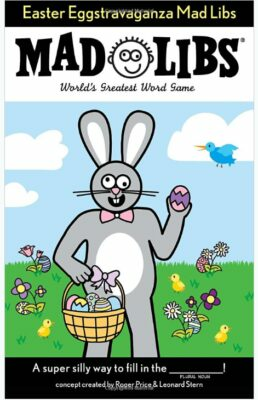 A useful Easter basket filler for older boys, possibly tweens, where learning new words will become the highlight of the holiday. It could even be a great gift for younger kids that like word searches. Nothing is more hilarious than hyperbole. 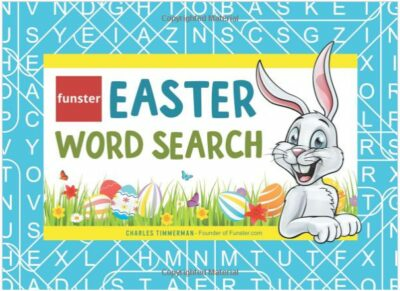 If you’re filling an Easter basket for a boy that loves words, this is a great way to go. With a quick grammar review at the beginning and easy-to-follow instructions for each mad-lib, he’ll be creating crazy stories in no time. If you are looking for something that’s quite unusual but stylish, then these snug fit pajamas are egg-cellent for trend-setters of any age. Made with 100% cotton, these pajamas are light and comfortable. With sizes varying from 18 months to 12 years old, you’ll find the right size for most ages. If you would rather have a looser fit, it is recommended to buy at least two sizes bigger than intended to ensure they are not too snug a fit. 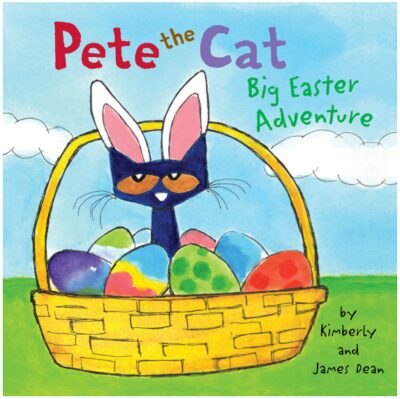 For the little Picassos and Da Vincis in your household, this is a brilliant book for their Easter baskets! The instructions are easy to follow and are even great for adults or older boys that like to draw. Covering various themes of Easter, from the traditional eggs and bunnies to the Christian origin story, this is a useful educational tool themed to the holiday. Even teachers love it! If your baby is teething and you’re trying everything to find the perfect Easter-themed teether toy for him, then this carrot-shaped teether is an excellent choice. Made from one solid piece of soft, squishy silicone and with easy-grip handles, your little man will enjoy gnawing on this toy for hours. 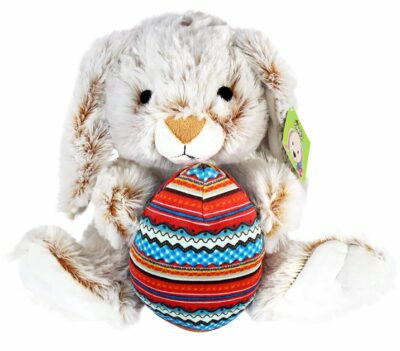 Its easy-clean and non-sticky material makes it a fan favorite for moms and the varied textures makes it a soothing and adorable toy for your baby’s Easter basket. Who doesn’t love llamas? I have socks that have llamas on them! Although they are awesome socks, this book is the better choice. This Preschool book is a great idea for babies too, because of the board book’s sturdy and durable nature. 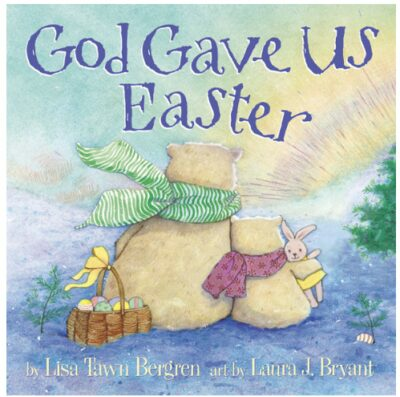 The cute story and sweet pictures make this a great alternative for your little boy’s Easter basket. Looking for an alternative to chocolate eggs and candy this year? Even if you’re just looking for something unique to put in his Easter basket this year on top of chocolate and candy, these maraca-style musical eggs really fit the bill! Made of sturdy wood and filled with black beans, they make only a little amount of sound instead of the loud timbres (or sounds) typically associated with the instrument. Whether you have a rhythmic teenager or a boisterous preschooler or kindergartener they will enjoy making music with these eggs. The gorgeous hand-decorated eggs use non-toxic paint, so it’s even safe for babies to play with. If your kid likes Science, this is a pretty good gift. 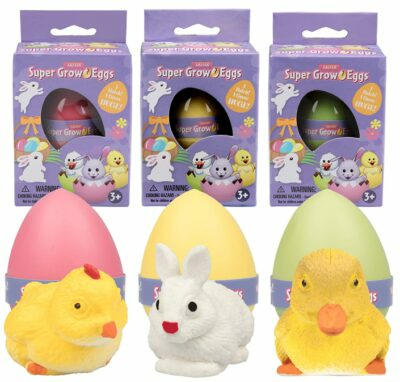 These Easter-themed Super-Grow eggs just need to be placed in water and he can watch the animal inside grow and hatch free of the egg like magic. The animal inside is a surprise, so he won’t know if he’ll get a duck, a chicken, or a bunny in his egg. Suitable for ages 3 and up, you can be sure that this experiment will enthrall your preschooler or kindergartener for a few hours. They can even play with the toy afterward, so the fun keeps growing too! The nice thing about Touch and Feel books is the textures. Just because it’s Easter, it doesn’t mean there are no textures to explore. Whether you’re stroking a bunny rabbit or feeling the weave of a basket the surfaces are a source of enjoyment and exploration for little minds. Babies and toddlers love to touch and grab things, Easter is no exception. 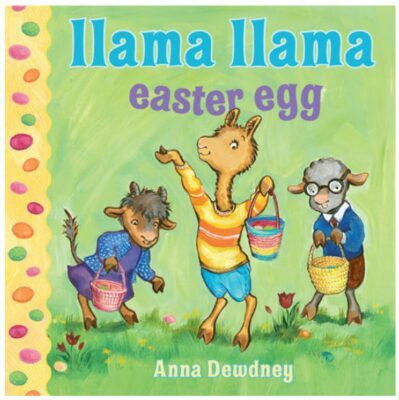 This cute Easter-themed book has adorable pictures and a cute story to follow. This will keep him occupied for hours. For babies, it would have to be the carrot teether toy. Its high quality and excellent design make it the obvious choice for the age group. I especially like the easy-clean and non-sticky material as it saves time and doesn’t pick up too many hairs if you have pets. Even if it does get a few, it’s easy to wash quickly with dish soap and hot water and the quality is not affected. For preschoolers I would choose the Hatch and Grow eggs, because what little boy doesn’t like experiments? Its surprise element of the unknown contents makes it all the more curious for his little mind and he won’t help but get excited when he sees the animal hatch from its shell. I would recommend the LEGO Easter Egg kit for kindergarteners. LEGO is a favorite among all age groups and doesn’t limit you to what you can see in front of you. Since the LEGO Movies have come out, LEGO has become even more popular and the imagination is limitless now. For Tweens, I would choose the pajamas. They’re light, they’re cute, and they’re fashionable. A perfect match for their Easter basket! What Kind of Gifts Should Go in an Easter Basket? This is a question that can only be answered by you! It is common to put jelly beans and chocolate eggs in the basket with a plush toy and some other treats for the holiday. 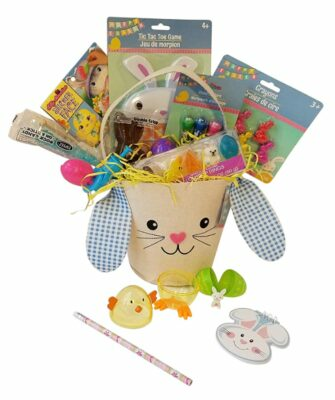 Baskets are typically lined with Easter grass (from hobby stores) and filled with gifts. Although candy is more traditional, breaking the mold with other ideas is always a great idea. Usually, it is good to choose one or two gifts for the Easter basket that you feel will be liked by the receiver. So, if your kid likes cars throw in some Easter-themed Hot Wheels. If your kid loves puzzles, then the activity book from the list is a perfect choice. Hand-Made or Store-Bought? That is the question! Again, this is a question only you can answer. It’s down to if you have the time or not. There are Easter basket kits available at hobby stores all over and if you want to spend time making a basket, it’s a great activity that can involve the whole family. And remember, a well-made basket can be used each year, it’s not just limited to this one. That’s the great thing about Easter baskets and Christmas stockings, you can keep them for the next year and not keep buying new ones. Store-bought can be just as good if you don’t have time to make one. Essentially, though, the choice is down to you.